Merry Zappadan, 2018, to all good people of all lanes and neighborhoods of the winding and ever-expanding universe of all things Zappa. How, pray tell, are things in the orbit of Zappa today? Well, first, we are sad to report that Frank Zappa has still stopped refusing to die. It is truly impossible to believe that 25 years have passed since his time experiencing and feeding into the conceptual continuity ended. It is somewhat obligatory for me to explain to you what we are doing here in this thing called “Zappadan”: It is a time of remembrance for our mustachioed hero, from the day of his death, Dec. 4, through the day of his birth, Dec. 21. Now we remember him all other days, too, because the concept is continual, my fellow freaks. But this here, this is a time to really flex your Zappa. Now. 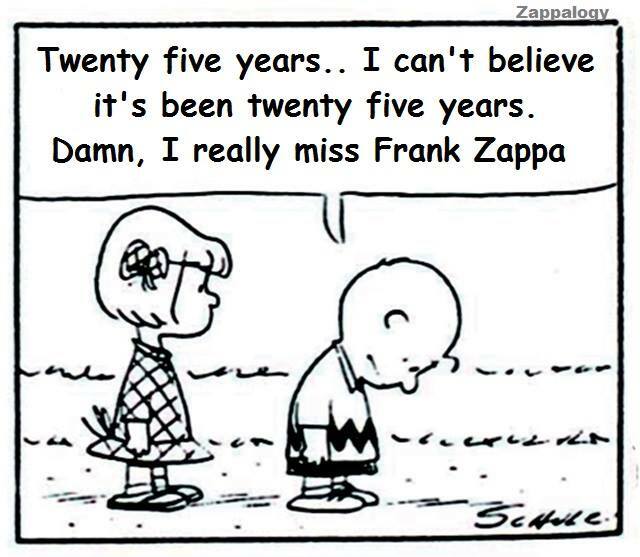 What else happened via Zappa stuff in the year 2018? If you dig vinyl, 2018 was a year for re-releases! Lumpy Gravy! Trout Mask Replica! Burnt Weenie Sandwich! Chunga’s Revenge! All re-released on yummy vinyl! The big news in 2018, though, was a long-awaited AZ/DZ detente! Recently, we Zappa siblings (Diva, Ahmet and Dweezil) got together with the goal of resolving our differences. Once we sat down and actually listened to one another, we found a much greater understanding of each other’s intentions. We regret that our communication broke down and that things were misconstrued. It may be a bumpy road at times – we are a passionate Italian family – but we have decided to work toward privately discussing issues rather than using public forums and lawyers. That sounds good to me. May it lead to many more years of Zappa Plays Zappa and other notions. In the meantime, here at the AITWK, we’re going to be talking about a vital year in Mother-dom: 1968. Fifty years ago. We’re Only In It For The Money. Lumpy Gravy. Cruisin’ with Ruben and the Jets. And me. All born in that fabulous year. Oh, we will be talking about these albums. And more stuff as well. But enough of my yakkin’. What do ya say? Let’s boogie! This entry was posted in Zappadan, Zappadan 2018 by Aaron B. Pryor. Bookmark the permalink.